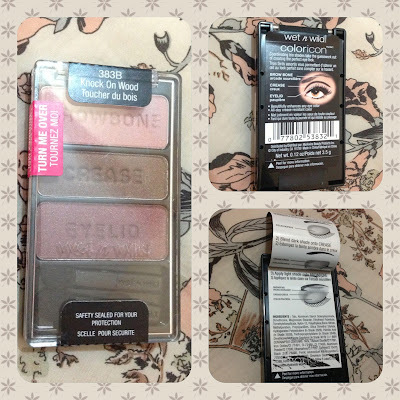 The Wet n' Wild color icon eye shadows in trio have been around for a long time but I never got to try one until now simply because they're not available in Manila. To my surprise, I was told by the sales rep that Wet n' Wild has been available in cosmetic counters at all Watson's branches for more than a year now. I love that this palette comes in a generous amount (3.5 grams) that will probably last me a while. Each color is labelled so if you're a beginner in using eye make up this can be a useful guide. There's an illustration found at the bottom which can be peeled off to reveal additional tips on how to play with the colors and what particular shade to apply on which area of your eyelid. I really find this very functional and suitable for anyone who wants to create different looks with just 3 shades. Notice the carved label on each shade and the 2 miniature tools that came with the palette. 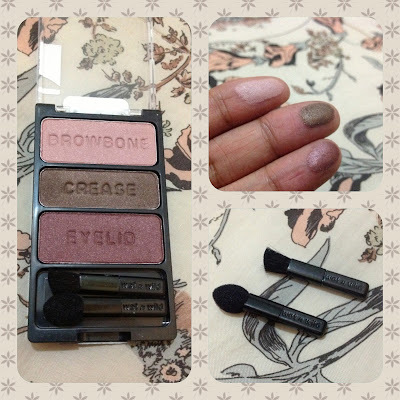 If you have no makeup tools yet, the sponge applicator and brush are enough to get you started. As for me, I prefer using my own tools like an eyelid brush, a blending brush and a crease brush although the free tools might come in handy during travel. This palette has rich colors of light pink, brown and deep purple that blend well with each other. It doesn't scream of glitter, just a noticeable shimmer to give you a glowing finish. A few gentle strokes is all you need to pick up a good amount of color to create your desired look. The colors are very wearable and flexible because it can give you a simple day look to a dramatic evening look. Overall, I love this product so much that I recommend them to anyone who wants a palette than can multitask with just 3 shades. Beginners and professionals alike may find this a must have in creating different looks at an affordable tag. I will definitely buy other color icon palettes and let you know how they are in my future posts. 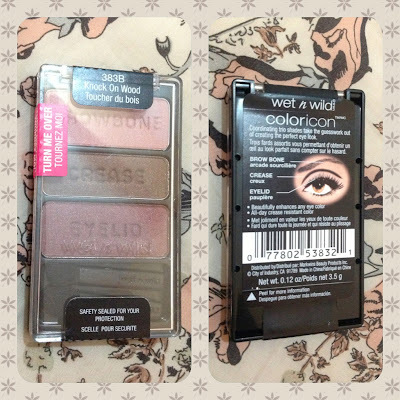 Have you tried any of the color icons by Wet n' Wild? What do you think of them? Do share your thoughts and please leave them on the comment section below. What's in my BDJ Box?